Not too long ago this video would appear on my news feed, in my inbox or text messages on a regular basis. It so accurately depicts the ongoing struggle of living pay check to pay check. An occurrence that continued in my working life far too long than I’m willing to admit. Thankfully, something and someone intervened. Prompted by guilt (that I should practice what I preach) and the stress of relying on credit cards for those ‘unexpected’ expenses, I enlisted the help of Sam Robinson who introduced me to The Bucket System. Sam presented me with a spreadsheet in which I had to enter all of my expenses. There were no secrets or forgotten ‘once-offs’ – I scoured bank accounts and credit card statements. The usual suspects like petrol and train tickets weren’t a surprise, but the enlightening information came in the form of eating out, indulgent holidays and my triathlon obsession. Now the purpose of this exercise wasn’t to make me feel guilty or even change my spending habits (although that did occur later), it was to get me prepared. Prepared for all the bills that ‘pop up’, prepared for the holiday I wanted to take in 12 months, prepared for any emergency with a stash of cash. Put simply, The Bucket System divides your bank accounts into key areas of spending – mine were daily living, bills, holidays and health. Every month/fortnight instead of your pay sitting in one account, it gets split between the respective accounts for specific purposes. Undertaking the exercise of reviewing your expenses in a spreadsheet helps decipher how much you need in each ‘bucket’. It’s so simple and yet I had never come across this idea. It works for me on so many levels – I don’t have to worry about funding lumpy bills as they come in (car rego, anyone?) because I know the bills account will have enough funds to cover it. The system also presents a great motivator. Each month I knew there was enough in my daily living account, so at the end of the month if the account was in surplus – party time! Just kidding (maybe). It’s an effective way of self-monitoring your spending and getting an instant reward for sticking to your budget. Cash flow management and budgeting doesn’t need to be complicated. The peace of mind that comes with a simple system is worth more than the budget itself (in my humble opinion). 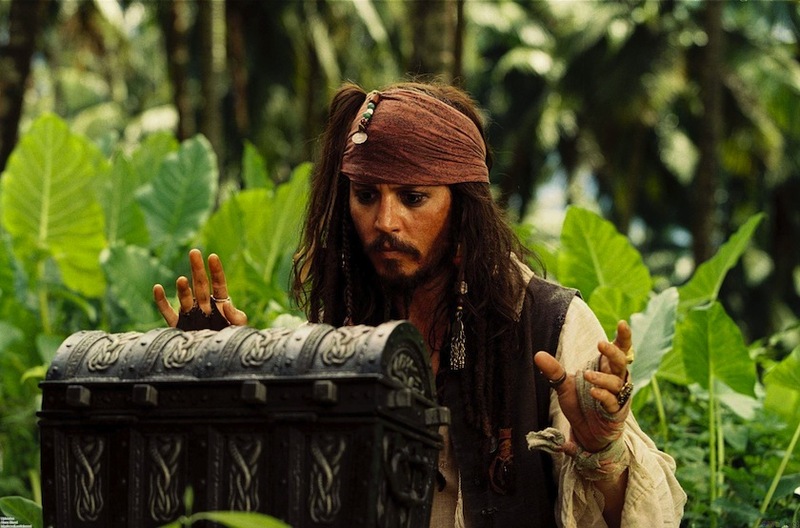 If you want less Johnny-Depp-sinking and more Johnny-Depp-treasure-finding, give The Bucket System a go. For further guidance or any info, please get in touch below.